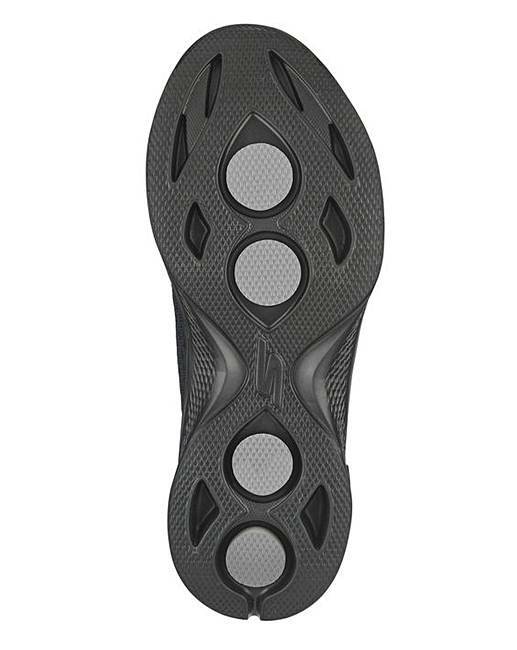 Skechers Go Walk 4 Trainers Wide Fit is rated 4.5 out of 5 by 54. Every day is a choice. Choose greatness with the Skechers GOwalk 4 - Pursuit. 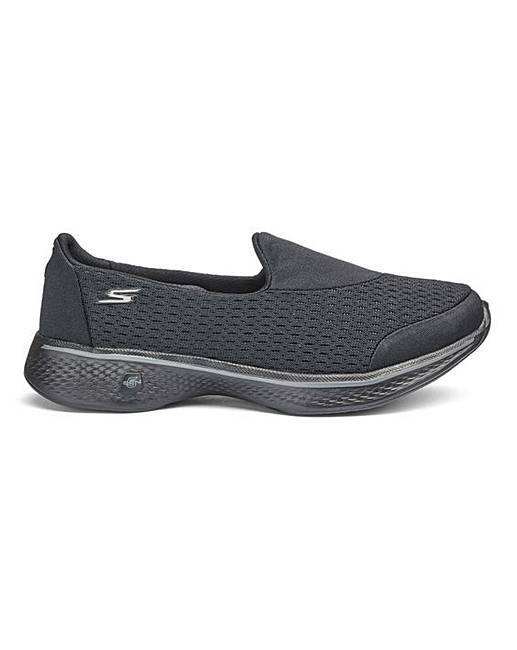 Features innovative 5GEN® midsole design and an advanced mesh fabric and soft fabric upper, with new Skechers Goga Max™ insole for the most advanced walking experience ever. 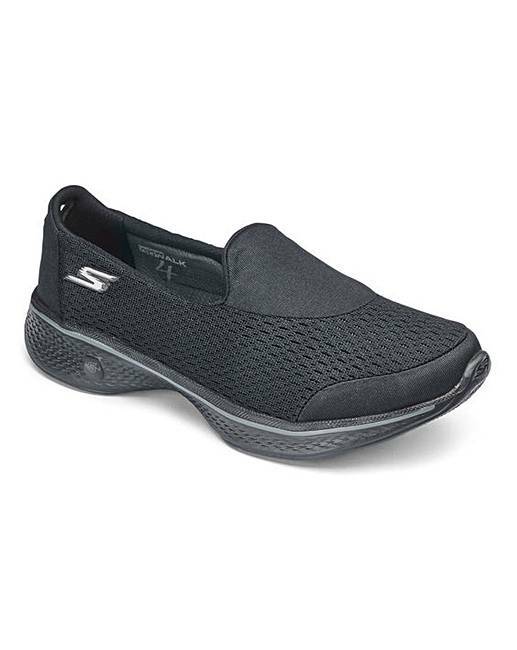 Rated 5 out of 5 by Amanda 100 from Superb Comfort They was purchased for work,I always wear Skechers for work because it feels like wearing slippers,you won't be disappointed. Rated 5 out of 5 by ClaireT from Wonderful comfort So comfortable feels like I am wearing slipppers perfect for wearing all day or on a long walk . Rated 5 out of 5 by Firebird80 from Like walking on Air Got these for my mum and she said they were like 'walking on air'. She said that after a walkabout her feet would be sore but wearing these she did not feel sore at all. Please with purchase. Rated 5 out of 5 by Wib from Soft and comfortable. These were my second pair. Unfortunately I didn't realize I'd bought them in a 6E. I didn't realize they came in E. They're too big and roomy. Be careful when you purchase these and choose the regular. Rated 4 out of 5 by Bradfox from Usual great comfort from skechers Very happy with these . I have wide feet and these fit well. Comfortable to walk in .. Rated 5 out of 5 by patty from Stylish and comfort This is the 3rd pair i have had because its like wearing slippers and a good price. Rated 5 out of 5 by Jenny from Good looking trainers I purchased these trainers for my granddaughters birthday and she's so pleased with them. She says they are the most comfortable trainer she's ever worn, plus they had the black sole that she was looking for. She would definitely recommend these to anyone needing a wide fitting lightweight trainer.